There was some decent Blackfin Tuna fishing offshore again today even though it was fairly rough and getting rougher all the time. The good news is the diamond shoals buiy report is back up and working. The bad news is after this blow it will probably go out again. It's suppose to blow 40-50 tonight from the Southeast. 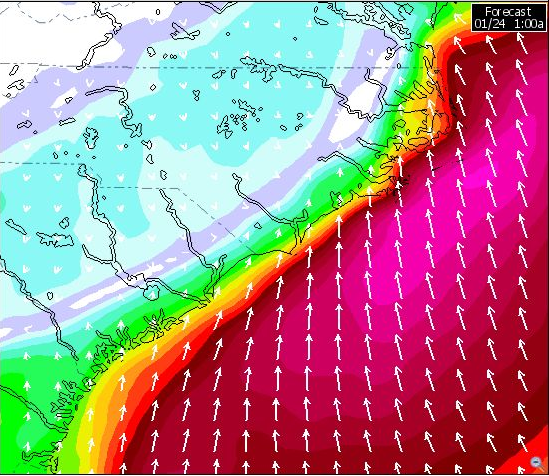 Should make for some interesting conditions offshore. Hopefully the buoys holds on and we can see a report for the entire storm. They are predicting some pretty big swell overnight. Click here to see just how rough it's getting. 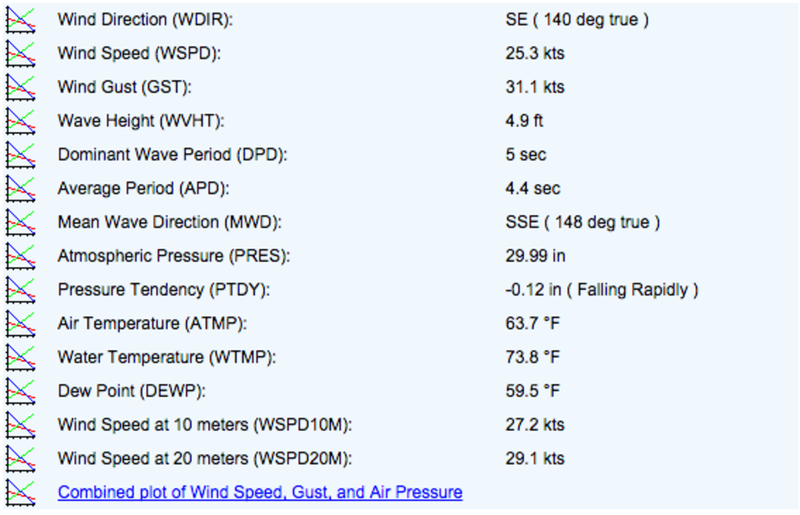 Wind just picked up to 25-30kts the swell is only 5 feet right now but that won't last long I'm sure. Hopefully this won't change the water up too much cause the fishing seems to be pretty good if you can get offshore.